Welcome to the 9th issue of the Presto Newsletter. Please sign-up to get future issues to your mailbox. We aim to track the relevant news in the Presto community and keep you updated every month. Great Presto sessions this year! Next month will mark the 2nd annual Presto Summit in San Francisco, CA. Details to follow shortly. Here’s a recap of last years event. Justin Borgman, Founder and CEO of Starburst Data, spoke at Data Driven NYC. He provided an overview of a Presto-on-Anything platform, the importance of optionality in data architecture, as well as a variety of additional tools that enable businesses to harness the power of Presto. 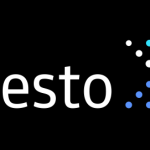 The combination of Presto and Alluxio is a popular choice to leverage Alluxio as a distributed caching tier on top of a slow or remote storage for hot data to query, avoiding the need to read data repeatedly from the cloud. This article looks at the top five performance tuning tips when running this analytics stack. Streamlio is an offering for real-time data processing based on a number of Apache open source projects. Presto is at the core of how it handles SQL queries. Learn more about Streamlio here. An examination of how a row of data is inserted into Presto, and everything that’s happening in the background as you submit queries for processing.